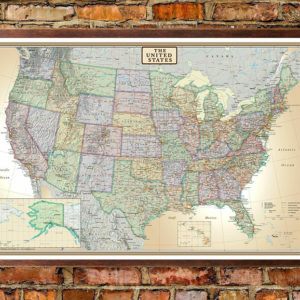 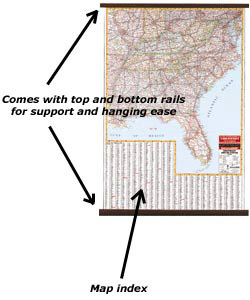 The Swiftmaps United States Executive Modern Day Antique Wall Map Series is quickly becoming the most popular and desirable United States map in print today! 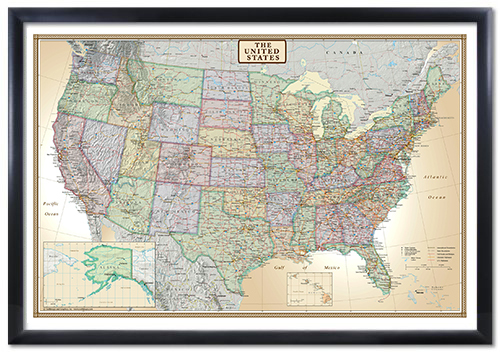 Enjoy the accuracy and beauty of this US map from some of the best cartographers here in the states. 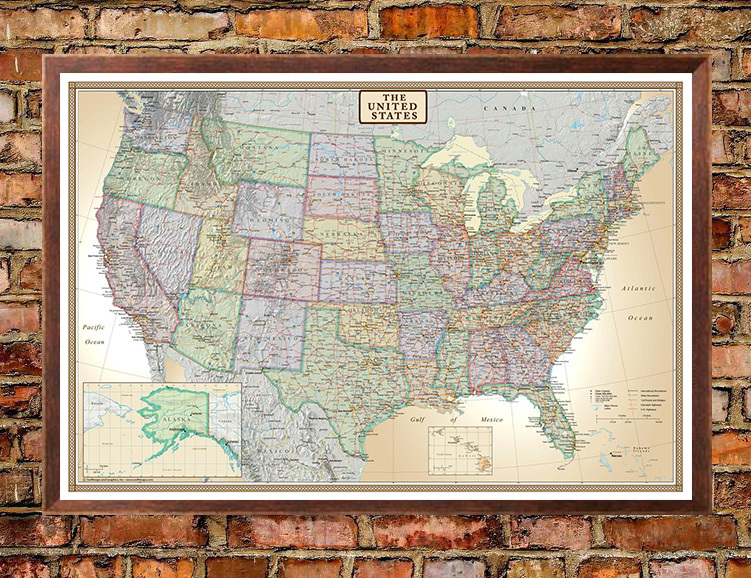 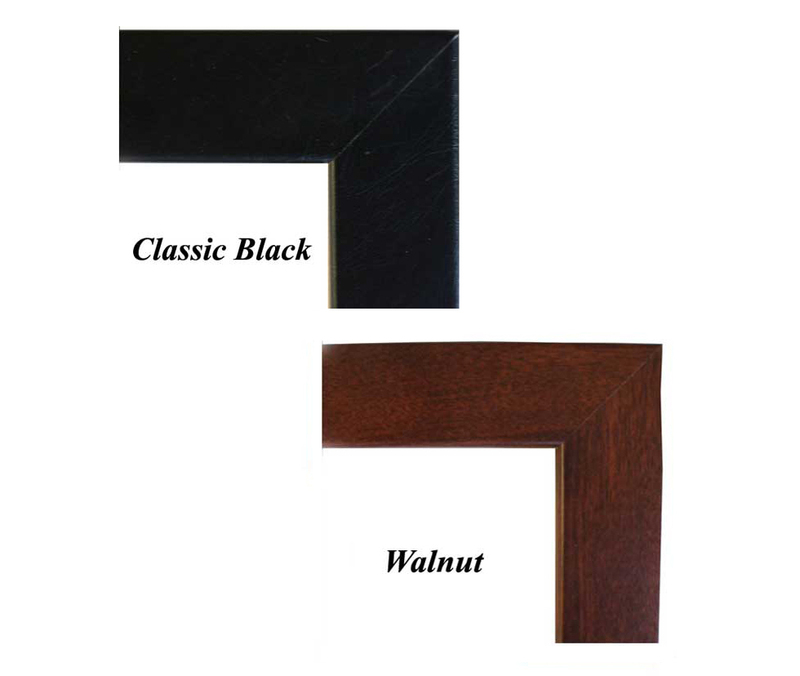 This map features the Winkel Tripel projection and has rich, elegant tones that will complement any office or home. 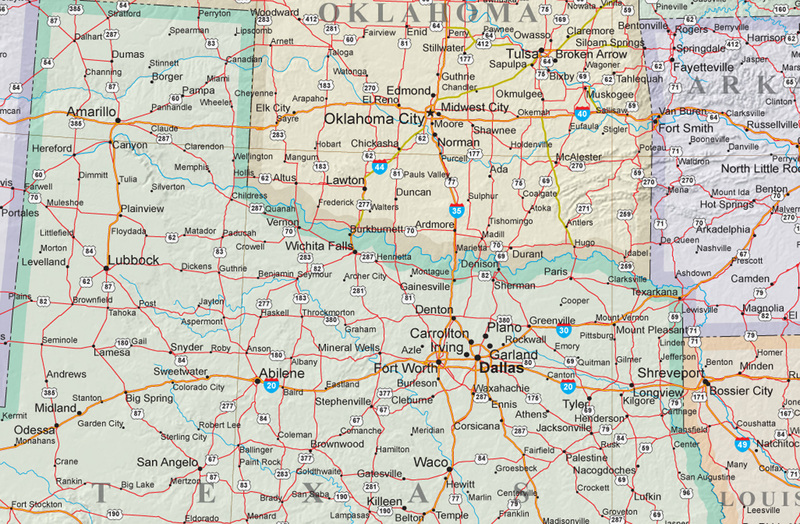 Details of the map will include states, major bodies of water, capitols and border countries. 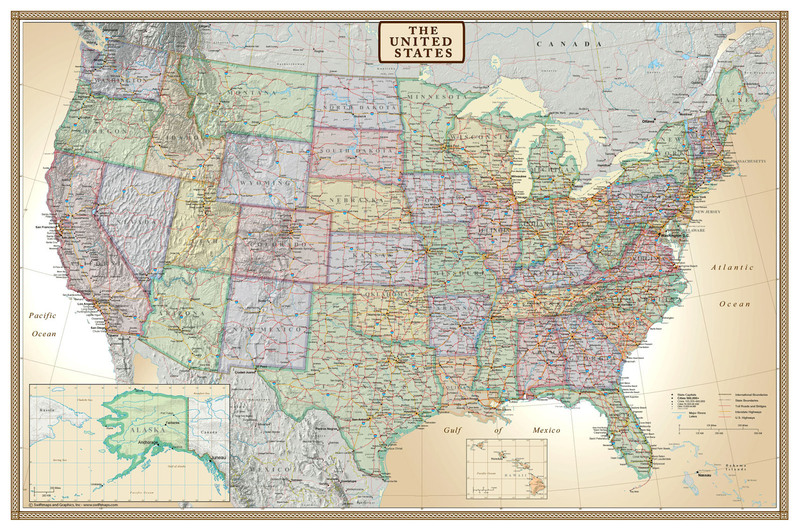 This is a current United States map featuring an antique style.